points a b and c – Lizzy Acker! sunday, santa cruz. best yet. best ever. due to issues with a new tattoo (not mine, but i am getting tempted…) we did not surf. instead pete and i rented cruiser bikes and rode to the beach where we met up with some people we know. then we went with them to the boardwalk (see above image) and then we rode along the cliff past pleasure point. 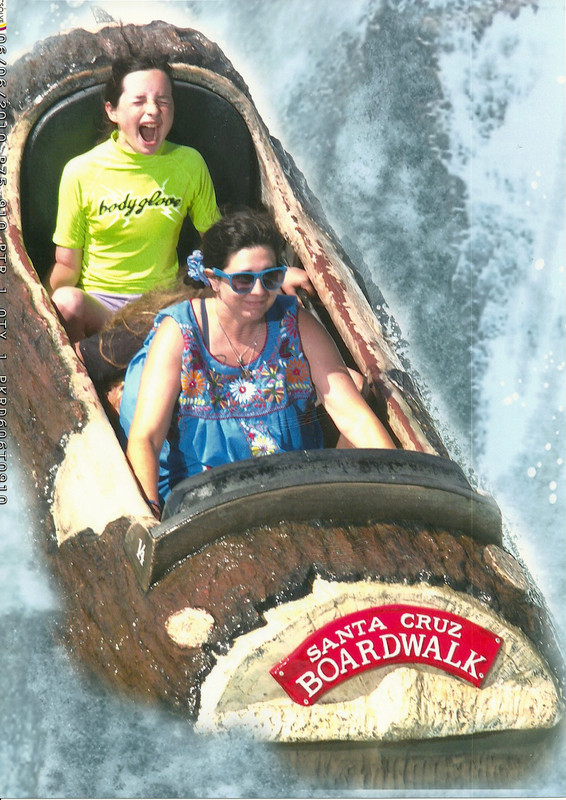 santa cruz is one of the best all-around place in the world. i am trying to figure out how i could live there. b) have you attempted to enter the lizzy acker monster poetry contest yet? BECAUSE YOU SHOULD. do it. serious. lastly, i am now obsessed with uhh yeah dude. listening to this podcast at work is like sitting in a bar, hanging out with two of your funniest friends. only it’s better because you are getting paid, you aren’t going to have a hangover and you can hear them really really well. i would say, listen and then watch some of their videos. you won’t be sorry. unless you are in which case i cannot help you with anything.